TOLEDO, OH, October 29, 2008 – SSOE’s own Rick Fox, CAPM, Assistant Project Manager will be presenting November 16th at the Primavera Annual Conference at Mandalay Bay Resort in Las Vegas. Mr. Fox will be leading a presentation and discussion on the use of Primavera as a staff planning and earned value management tool. Rick will be presenting on his experience with Primavera forthe SSOE project controls group which was recently challenged with planning the largest project in the company’s 60 year history. They managed 200 packages, giving SSOE the ability to track how each discipline was performing against their original budgets and also forecast future manpower requirements. They implemented a manpower planning and earned value management system using Primavera to plan and track staffing requirements, as well as measure progress to assure successful completion of the project on time and under budget across all disciplines including subcontractors, construction deliveries and more. SSOE assigned staffing and budgets to each engineering package by discipline and established benchmarks to measure progress. While at SSOE, Mr. Fox has developed customized reporting tools to track the engineering and start-up schedules for a $500 million chemical plant expansion. For the engineering portion of the project, he monitored the staffing requirements and earned value. Currently, he is the project controls coordinator for a $1.3 billion chemical plant addition. The project controls group is now able to track the engineering schedule, staffing requirements and earned value for SSOE using Primavera Project Manager (P5). 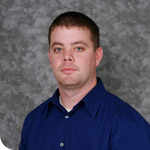 Mr. Fox received his Bachelor of Science from The University of Toledo in Construction Engineering Technology in 2005. In 2007, he became Certified Associate in Project Management (CAPM) as recognized by the Project Management Institute (PMI). He also completed the Primavera Planner/Scheduler Advanced Course 106 which covered more in-depth topics such as resource and earned value analysis. The event will be held at 8:30 AM on November 19th at Mandalay Bay Resort and Casino in Las Vegas, Nevada as part of the four day Primavera Annual Conference running November 16th through 19th. If you would like more information about attending, please contact Karen Pilla from Primavera Systems, Inc. at kpilla@primavera.com or 610.949.6536.